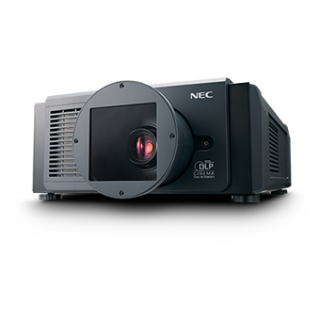 NEC Display Solutions of America announced its selection as exclusive supplier of digital cinema projectors to USA Drive-Ins, a motion picture exhibition company solely dedicated to the revitalization of the classic American drive-in. The company will exclusively use NEC Display NC3200S and NC3240S digital cinema projectors in this initiative to increase the number of drive-in theaters in the U.S. The locations will present family-friendly films in an all-American experience. USA Drive-ins has executed an agreement to partner with the iconic American restaurant experience Johnny Rockets. “GDC welcomes this opportunity to bring the theater-going experience to more people and applauds USA Drive-Ins for its work,” said Dr. Man-Nang Chong, founder and CEO of GDC Technology. Besides NEC’s and GDC’s roles in the project, Ballantyne Strong, Inc. is the project’s reseller and will provide installation, warranty and technical services from its state-of-the-art network operations center. “We’re honored to be leading the USA Drive-Ins deployment with GDC Technology, serve our distinguished role as NEC’s master reseller for digital cinema projectors, and also to provide post-sale 24/7 technical support,” said Gary Cavey, President and CEO of Ballantyne Strong. Besides the traditional drive-in locations, set for completion in the spring of 2015, USA Drive-Ins also is deploying “pop-up” drive-ins for which it will utilize NEC digital cinema projectors.